Tags: Snare drum production techniques, Using panning effect in mix. One of the most powerful elements in the rock drum mixing session are the snare drums. 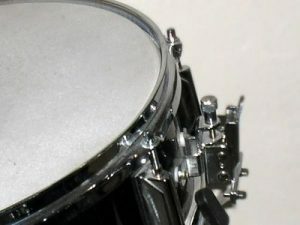 In fact, great rock songs are often associated with unique snare drum sound which we often remember throughout the years. Snare drum mixing of the music by Led Zeppelin, The Outfield, Spin Doctors and Nirvana are my personal favorites because they sound loud, crispy, heavy and well mixed. Modern pop beat sadly puts less importance in drums particularly snare. But a well mixed snare drums can make the song worth remembering, so what are the EQ, compression and panning mixing tips for snare drums? This tutorial puts more emphasis on rock music more than other genre like pop, jazz and country. The objective is to give the snare drums a great and loud sound. 1. No clipping or distortion. Personally I have mixed projects with clipped snare drums. This results to distortion that sounds very bad. So there is no way to fix that during the mix and it needs to be re-recorded. 3. 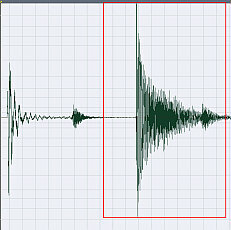 At least recorded at a reasonable sounding level with dynamics. 4.) Drum recording environment plays a big role in the resulting snare drum sound. For example, if you record drums in the center of the spacious big hall, the snare drum sound would have much more ambiance and reverb than recording in a heavily carpeted and concrete small rooms. Drum Mixing Tips and Techniques for Modern Rock Music -learn some ways on how you should be putting microphones on your snare drum. This will have a profound effect on the resulting sound. 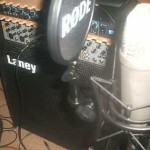 Reaper DAW Tutorial on Drum Recording– if you are using Reaper to record drums. This is a very useful tutorial for you. You should also pay attention to the recording levels of the snare to prevent clipping (or distortion) as well as very poor S/N (signal to noise ratio). In rock music production, snare is commonly hit hard by the drummer which can easily overload your analog to digital converters. 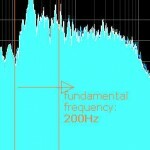 To make sure you are recording at optimum levels; you need to implement proper gain staging. If you are using snare drum samples and not from actual drum kit recording; you need to make sure you are properly working with a high resolution audio samples (such as 24-bits). You can use great sounding drum sampler like Superior Drummer 2.0, etc. 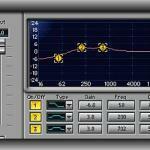 Since the following settings uses Q, you need a parametric equalizer to implement those settings. Bear in mind that the “dominant and crispy snare sound” is recommended only for instrumental rock music since 2000Hz – 3000Hz frequency range are not cut. 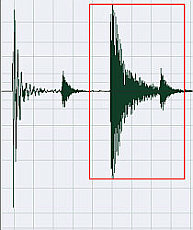 If these are used in music with vocals, the snare drum may drowned the vocal frequencies affecting vocal clarity. The second are the compression settings which I already mentioned in this tutorial: “Audio compression tips for mixing”. Feel free to experiment the attack and release settings. The compression ratio can also be set to 4:1 depending on your flavor. Lastly the panning settings; most engineers can pan the snare drums at the center. But in reality the snare drums are not perfectly located in the center of the mix. When you visualize the real drums, it is a little off-center. So I recommend to use 6.25 units to the right. In your mixing software, an instrument panned to the right will have a positive sign while panned to the left is negative, so it will be +6.25. 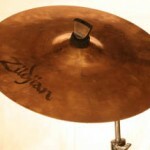 More details are discussed in this tutorial: “How to pan drum instruments”.